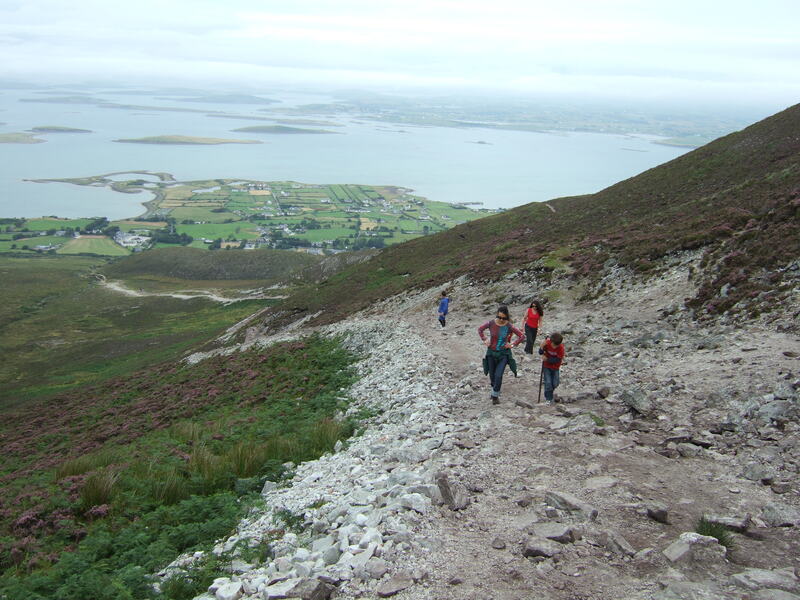 Pilgrims climbing Cruach Phádraig (Croagh Patrick), Co Mayo, Eire on St Patrick’s Day. 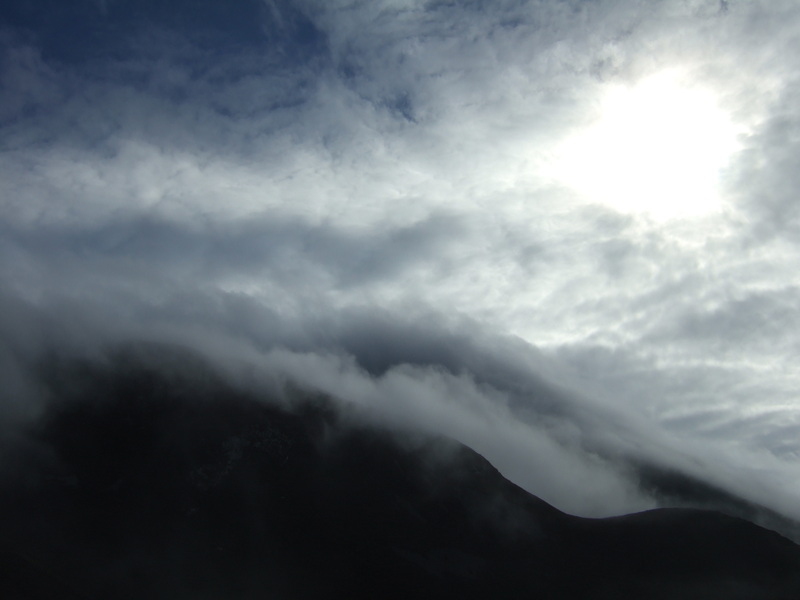 The Peak of Cruach Phádraig shrouded in cloud. 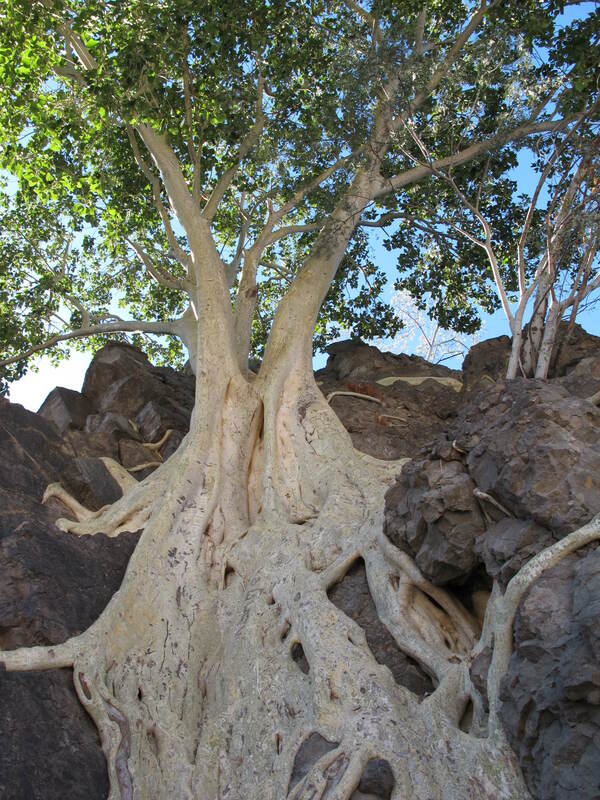 Climbing the mountain symbolises the ascension in consciousness into the Presence of God. 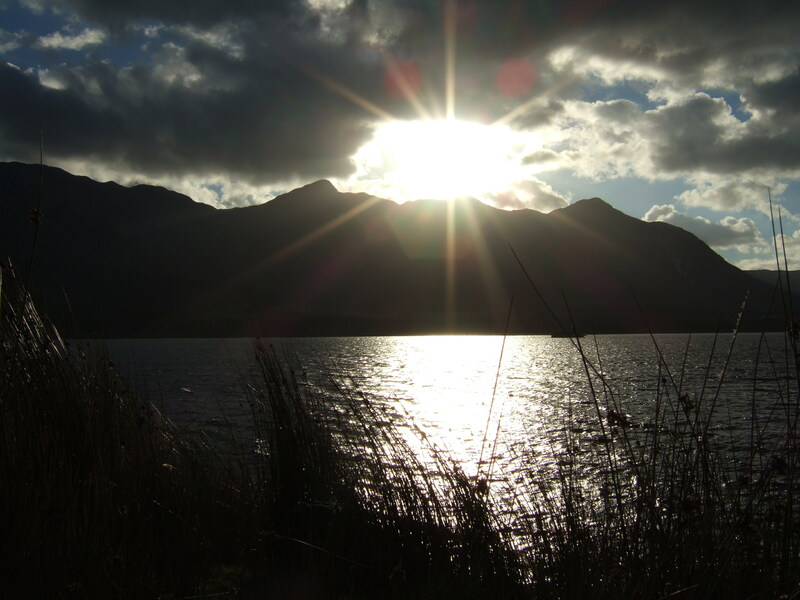 In the Gospels conscious living is symbolised by light. This means to be as fully present to life as you can be. This can also be called Love, for Love is consciousness, it is universal. As we awaken we fluctuate between ego love which fears rejection, feels hurt, seeks revenge and hates – and Universal Love that has no opposite – no fear. This is how we learn the difference between the Love – Light of conscious presence – that Jesus speaks of, and the love of the ego. 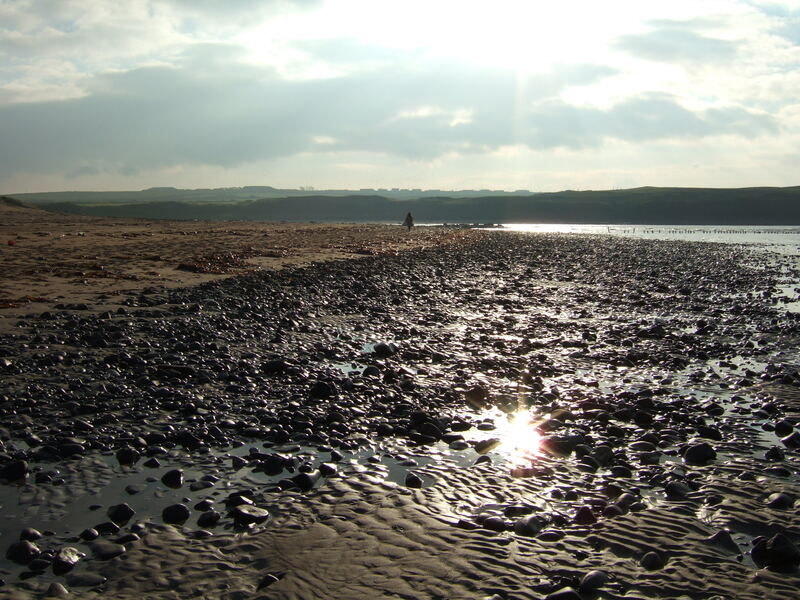 The Sharpness of light from the winter Solstice Sun on Ballybunion strand, Co Kerry, Eire. 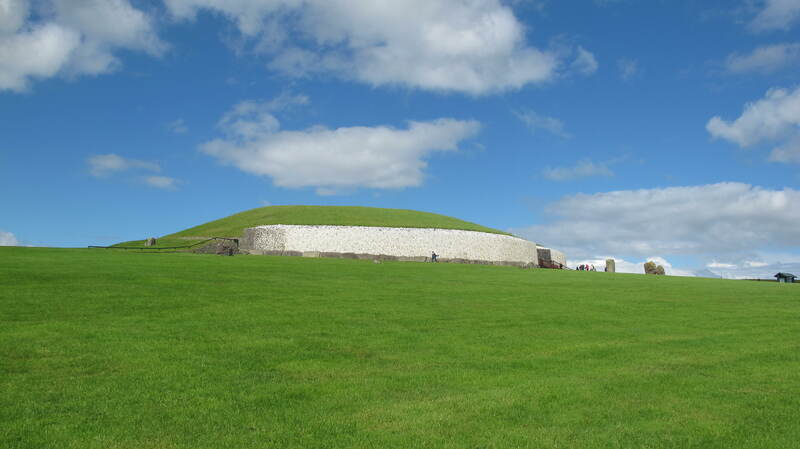 Newgrange Neolithic site dating from around 3200 BCE, Co Meath, Eire. It is aligned with the rising sun, which floods the interior stone chamber with light at dawn on the winter solstice. The inner passageway and end chamber is set out in the shape of a classical Celtic Cross, also depicting the six directions of space. 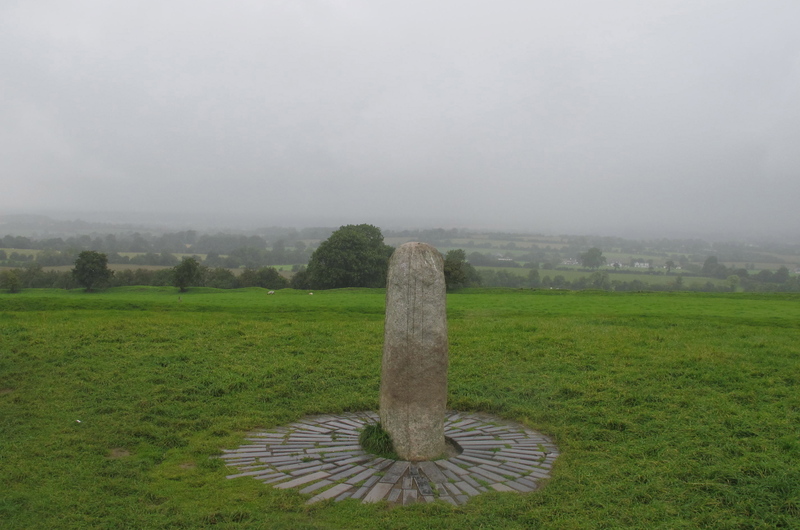 The Hill of Tara represents the sacred centre of Ireland and the six directions of Space that radiate from it. Seen here on a summer’s day, with the land shrouded in cloud, mist and rain. The centre of the great circle of Life exists at the core of every human being, whether we are aware of it or not. The presence of God that we seek is already within us and cannot be hidden. If you would only become still and silent you would feel God’s Presence now, opening your heart. When you breathe consciously you are taking light into your body, which itself, is made from particles of light. We are born into life on this Earth to learn to abide in the Eternal Presence that the Gospel of John calls Logos. There is never a time or place when the Presence of Logos is not here with us, yet when we become lost in our unconscious thoughts, words and actions, believing only in a personalised sense of self, we lose awareness of the Eternal Presence that continually creates and sustains every living thing, and is the animating presence of life within us. 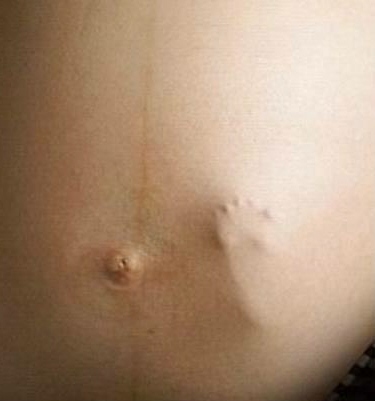 The creative patterns of Logos are held within the body – continually bringing forth new life. We are breathed by the Eternal Presence of Life into the World. 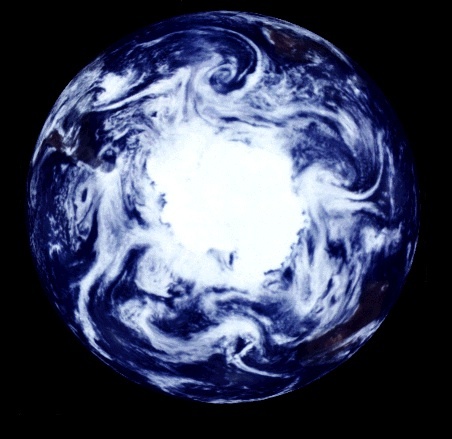 The Earth showing Antartica and the South Pole – When we breathe consciously we stand at the centre of the universe and witness the unfolding of creation through the six directions of space. 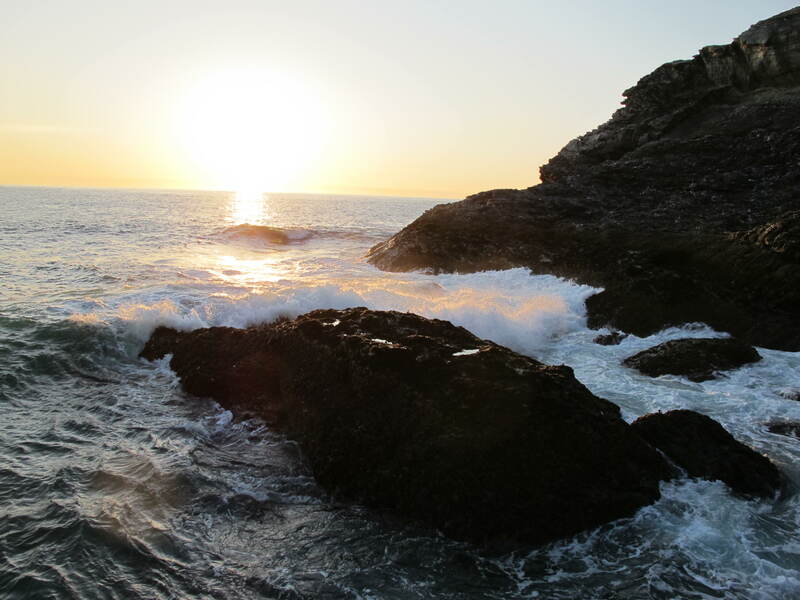 Take a conscious breath: as you breathe with awareness, stilling the mind, you are connecting with the creative unfolding of life. Through the conscious breath, be aware of your Solar Plexus as a radiant point, beneath and behind the heart and lungs – expanding out into the six directions of space. 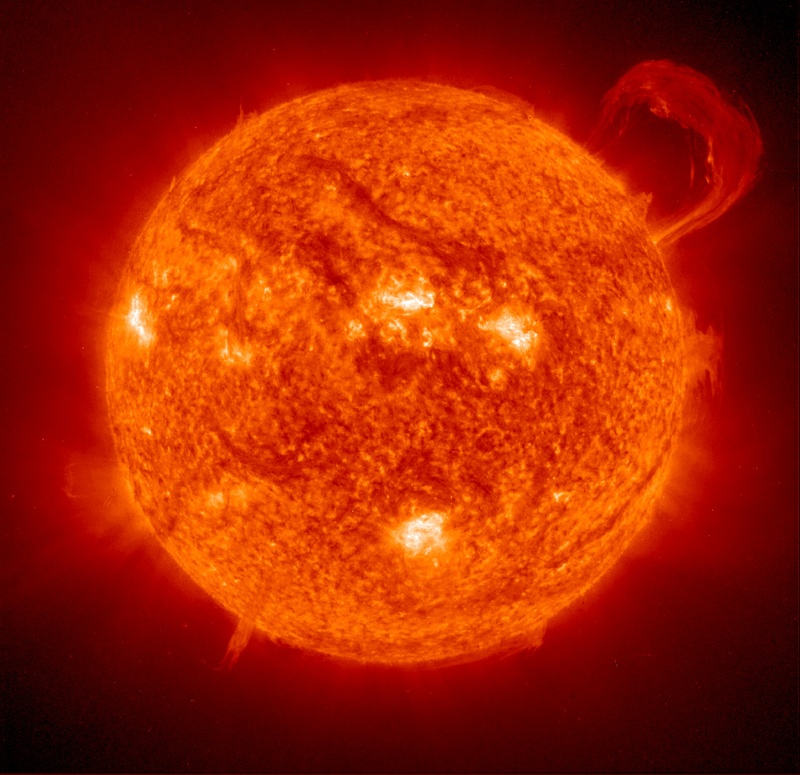 The Sun is a physical manifestation of the continual outpouring of creative life – the Patterns of Creation continually emerge out of the beginning of the universe which is here with us now. Be aware of your spinal column from the coccyx at the base of the spine to the first of the seven cervical vertebrae at the top. As you breathe from the solar plexus, feel the spine supporting you, allowing your life force to expand with each breath, releasing any tensions you are holding in your body, and stilling the mind into the Eternal Presence of Logos as a living reality. Become aware of the central stillness out of which each breath emerges, and into which it returns. 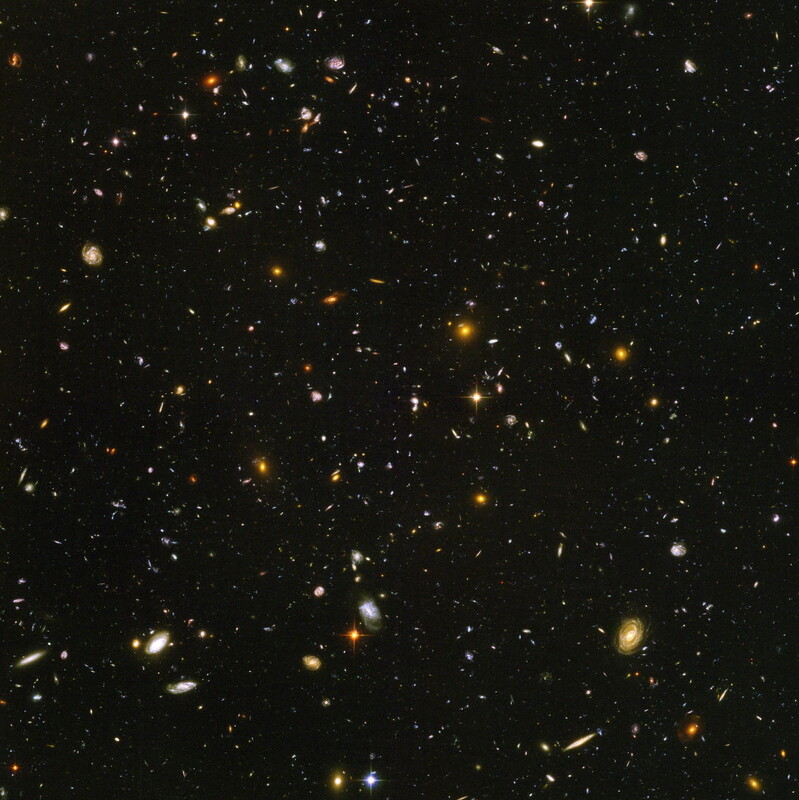 Space holds all life in creative presence, out of which every living thing is continually formed and made: from the tiniest subatomic particles to the great galaxies that seed life throughout the Cosmos. You are continually held by the universe: this is Logos. If you can be aware that all movement is supported by stillness, all sound by silence, then you are beginning to experience something of the meaning of Logos.